Registration for child care is open to all members of the community. Click on the links below for more information. 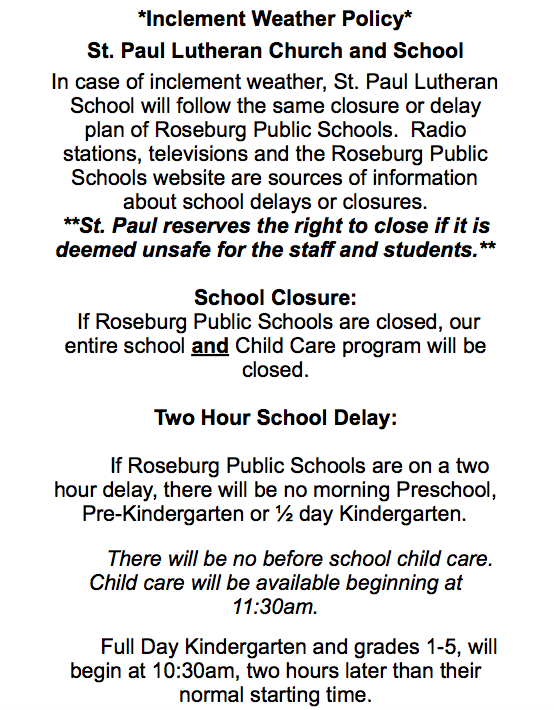 Please contact the school office if you have any questions: 541-673-7212, churchoffice@stpaulroseburg.org.